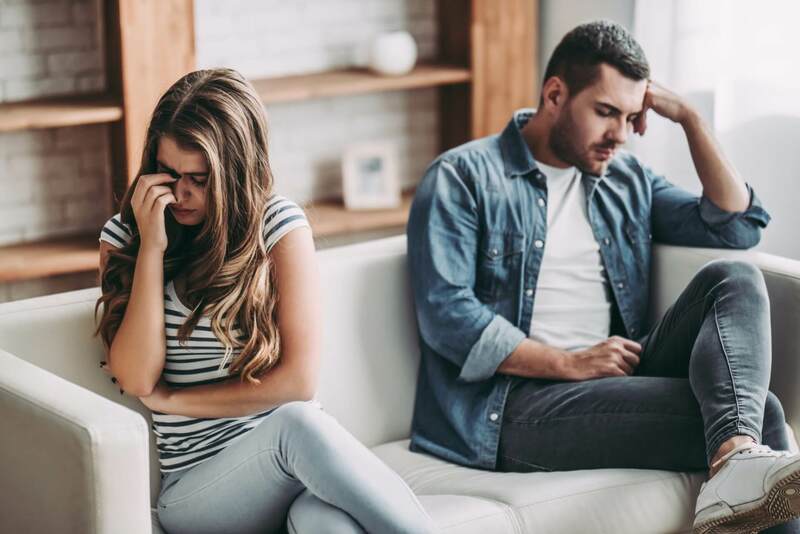 Published August 22, 2018 at 1920 × 1282 in Is Your Marriage Making You Sick? Upset couple at home. Handsome man and beautiful young woman are having quarrel. Sitting on sofa together. Family problems.